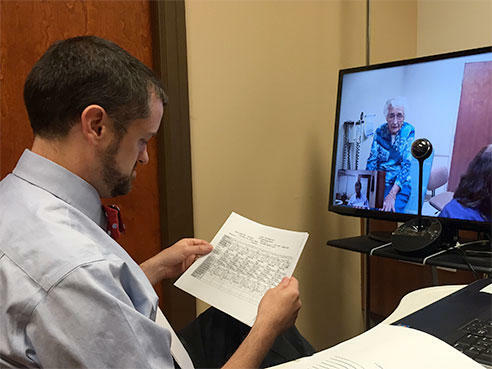 Dr. Eric Wallace reviews Mary Epp's chart during a telemedicine appointment. 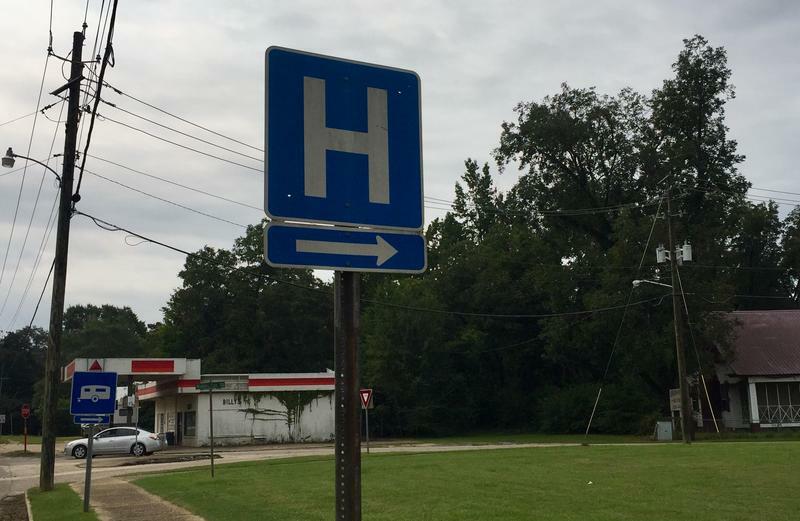 All year long on Alabama Public Radio, we’ve been looking at rural health care. Advocates of rural health in Alabama say one of the biggest issues is access to health care in rural areas. The state is facing a massive shortage of physicians, and the doctors we do have are largely concentrated in metropolitan areas. The situation gets worse when it comes to specialty and subspecialty care. The vast majority of the state’s specialists are in Birmingham, Huntsville or Mobile. But doctors are now starting to use technology to bring specialty care into rural Alabama. Mary Epp is 84 years old and a home dialysis patient. She’s at a routine followup appointment with her endocrinologist Dr. Eric Wallace at the University of Alabama at Birmingham School of Medicine. But Mrs. Epp isn’t in Birmingham. She’s at the Dallas County Health Department, about 75 miles to the south. Dr. Walter Geary is the Medical Director for the Alabama Department of Public Health. 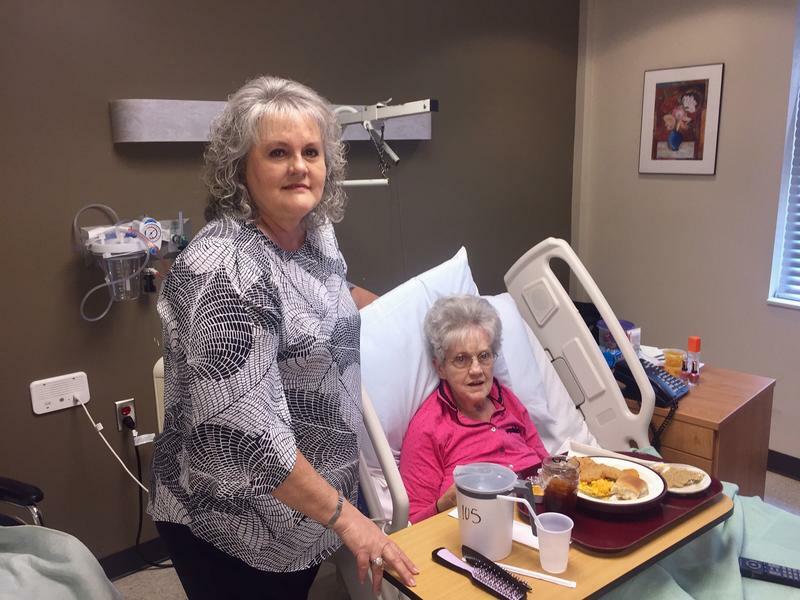 Thanks to telemedicine equipment at dozens of county health departments across the state, Dr. Wallace is able to provide Mrs. Epp and many other patients a full-fledged checkup hundreds of miles apart. I caught up with Dr. Wallace at a statewide conference on telehealth. 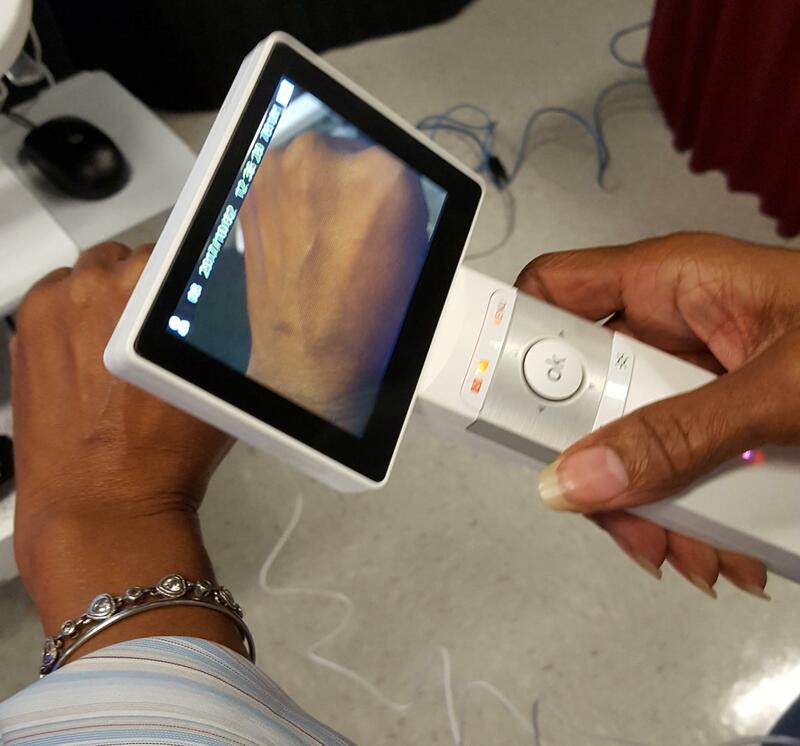 Jessica Hardy shows off a specialized camera used to examine patients in telemedicine appointments. Ron Sparks is a rural health care and telehealth advocate. Sparks previously headed the state’s Office of Rural Development under Governor Robert Bentley. He says the expansion of telemedicine is inevitable. There are currently a collection of different small, regional telehealth networks offering various telemedicine services. Dr. Wallace says he wants to see those providers work together. The Alabama Department of Public Health is taking the lead on developing that network. Jessica Hardy is the director of the Office of Women’s Health at ADPH. Public health medical director Dr. Walter Geary says the possibilities for specialty care delivered remotely are nearly endless. Bandwidth is one potential hurdle to a widespread adoption of telehealth. Many rural areas in the state don’t have consistent cell service, much less broadband internet. And supporting high-resolution video conferencing along with medical data in a telehealth visit requires a lot of bandwidth. Ron Sparks says it’s hard to understate the importance of quality internet. But the Alabama Department of Public Health has an unusual leg up. Thanks to a state mandate, county health departments have special broadband infrastructure and 60 of Alabama’s 66 county health departments currently have the bandwidth for telehealth, even if other areas of those counties fall short. Coffee Middle School Nurse Charlene Smith conducts a telemedicine examination with a student in Douglas, Ga.
Another telehealth model is gaining lots of steam across the border in Georgia – telemedicine systems in school. Sherrie Williams works with the Global Partnership for Telehealth, based in Georgia. Williams says school-based telehealth can fill major gaps in community health care, especially after rural clinics or hospitals in those areas close. Unfortunately, the model in Georgia isn’t possible in Alabama, at least not yet, because of Medicaid regulations. State Medicaid rules don’t consider schools an acceptable place to receive healthcare. That’s not the only way Medicaid regulations are posing a bigger problem to telehealth. Alabama doesn’t have what’s called a “parity law” in place. That assures doctors get paid the same rate whether they see a patient remotely or in person. Georgia does, as well as Mississippi. “Just across the border in Mississippi, their telehealth program has been going on 15, 16 years now. Michael Smith is the director of telehealth for the Alabama Department of Public Health. Alabama is starting on the back foot in terms of telemedicine. But Dr. Wallace is optimistic about the near future. Meaning patients like Mary Epp, dealing with a variety of complicated medical issues, can get quality health care a lot closer to home. Advocates working to fix problems with rural health care say Alabama is ground zero nationally. Studies say Alabama has the highest infant mortality rate in the U.S. The state also leads the nation for diabetes. Alabama is also home to Gadsden which had the lowest life expectancy in the nation in 2016. Despite all this, rural hospitals in the state receive among the lowest reimbursements nationally from Medicare. That’s blamed for eighty percent of Alabama’s hospitals that are operating in the red. All year long, the Alabama Public Radio news team has been investigating the state’s rural healthcare system. One issue is hospitals. Seven rural counties in Alabama don’t have one, and one more county may be added to that list by the end of the month. 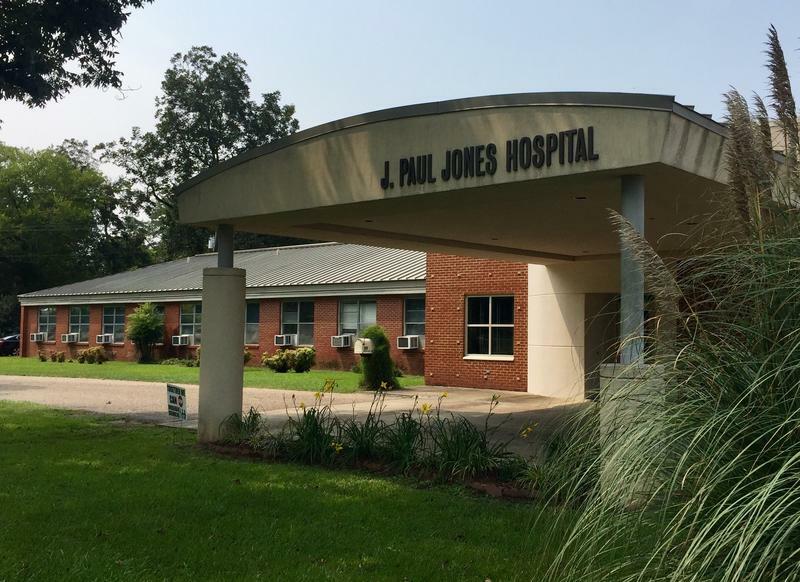 John Paul Jones hospital in Wilcox County says it will close after sixty years. Five other rural hospitals have closed since the year 2010. Eighty percent of those that are left are operating in the red, in part due to Medicare which pays less in rural Alabama than almost anywhere else in the nation. All year long at Alabama Public Radio, we’ve been looking at rural health. Many of the challenges residents of these communities face are a lack of doctors and hospitals, and the money to pay for care. For many African-Americans in Alabama, a lack of trust of outsiders and the government. This issue can be traced back to a study conducted by the U.S. government on black men living around Tuskegee. 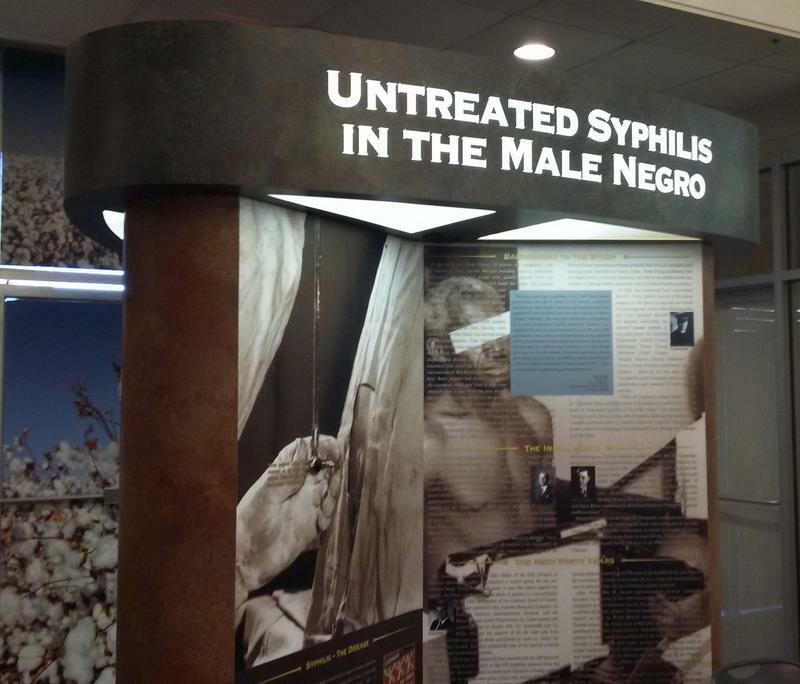 This year marks a twenty year milestone in a federal study of syphilis which still resonates across the country. Rural Health: "Being jolted around in an ambulance on rural roads, in full-blown labor, is not fun." Rural Health: The Hospital on "Life Support"
All year long the APR news team has been looking at rural health across the state. One of the major problems is that rural residents lack access to medical care. A big reason for this is a lack of doctors. However, there is an effort underway to try to address the issue. 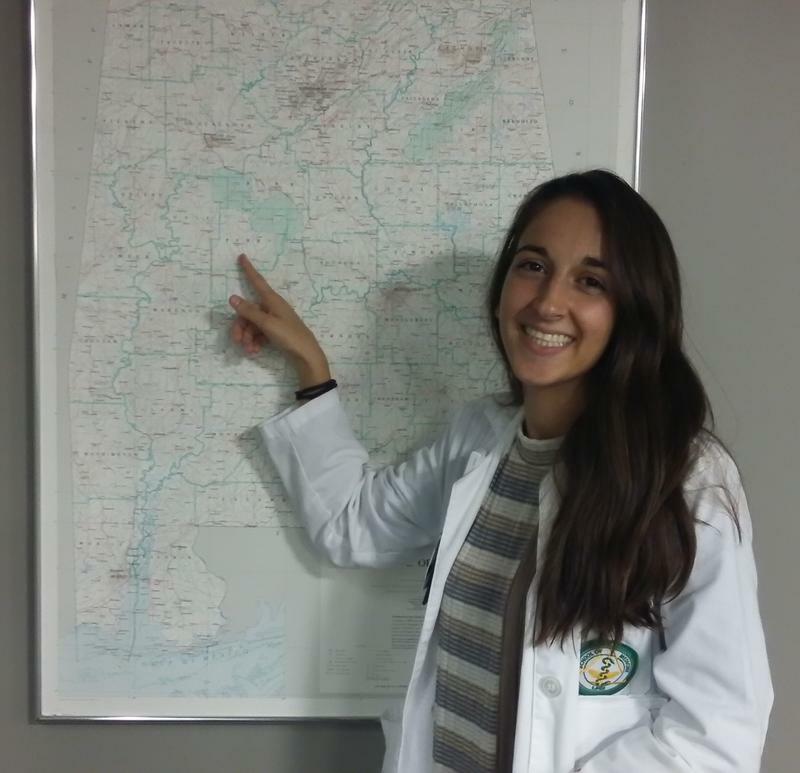 The University of Alabama has something called the rural medical scholars program and it is bringing the next generation of doctors who will be practicing in rural Alabama.